Last week I posted 7 Genealogy-Related Things to Add to Your Holiday Wish List, which had my personal recommendations on things that I have purchased or used. I originally had a total of 11 items that I was going to talk about, but some were things that I haven’t purchased myself, and are actually on my personal wish list, so I decided to split up the posts. So here are my remaining suggestions, made up of my personal wish list for this holiday season. Donations to your favorite organization or cause are gifts that keep on giving. This is a good option when you have very few tangible items on your wish list. I’ve asked family and friends to contribute to the following organizations and projects in my name. And, as a bonus, these contributions are tax-deductible for the donor. War of 1812 - Preserve the Pensions – This project, run by the Federation of Genealogical Societies, is raising funds to help digitize the War of 1812 pension files. The best part is that Ancestry.com is matching ALL donations, so $25 becomes $50 and digitizes about 110 pages. I have made several contributions in the past, but in my current financial situation, I was unable to contribute in 2012, so that’s why I’m asking for this as a gift instead. Illinois State Genealogical Society – Yes, this one’s personal as it is my home society. 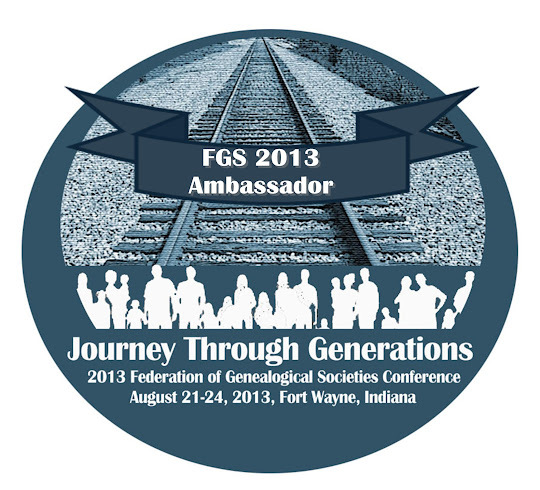 But ISGS is doing wonderful things not only for it’s members, but for the genealogy community as a whole. But in order for them to keep providing these services, they need funding, and a lot of that comes from contributions. While I’d love for you to add ISGS to your own holiday wish list, I know you have your own organizations that you want to support, so be sure to add them to your list! National Institute for Genealogical Studies – In order to continue working toward the American Records certificate, I’m looking for the American Certificate – Intermediate Level-9 Course package. National Genealogical Society Home Study Course – While I am working toward the American Records Certificate through NIGS, I like to learn as much as I can, and I feel that varying perspectives on topics is a good way to learn different philosophies and techniques. NGS also offers PDF Courses and Online Courses, but I think for me, the Home Study Course is what’s on my wish list. Family Tree University – Has a variety of courses available in different formats: Online Courses, Independent Study Courses, and Webinars. I’d love to take the course Find Your German Roots: From America to Deutschland. FTU also holds virtual conferences throughout the year. The next one will be held from February 22-24, 2013, and has 15 courses across 3 tracks. Well, that’s it. Between the two posts, I’m out of ideas. What about you? Do you have any suggestions? What are you asking for this holiday season? Leave a comment and let me know. Disclosure: I am not monetarily affiliated with any of these products, companies, or organizations.